Our 2017 Fall Session will begin the week of September 4, 2017 and will continue for 12 weeks. Our 2017 spring/summer twelve week CSA delivery begins the week of April 10th. The warm days and nights we have experienced this winter have us planting things much earlier. We anticipate a great CSA (Community Supported Agriculture) season and have already harvested many of our sweet strawberries. The garden peas are out of the ground with small peas appearing in the pods. This makes all of our hard work worthwhile when this long-awaited season brings the fresh local fruits and vegetables to your tables. We have begun to pull some sweet and purple onions and our potatoes are in the ground. Kale, collards, turnips, lettuce, cabbage, carrots, broccoli, cauliflower, squash and many other items have been planted so we are gearing up for an early spring harvest. As usual we plant many specialized vegetables that we include in our CSA boxes and our variety makes it a weekly treat. To the many of you that have secured your delivery by signing up already, we thank you. Our schedule requires a lot of planning to see that enough is planted and our routes are coordinated to deliver everything on a timely basis. Our family farm exists because of our regular customers so your business is greatly appreciated. We proudly stand behind our reputation of quality and quantity for your money. Our prices have remained the same for five years so don’t hesitate to sign up. Gruber Farm is proud to be your Farmer. Our signup is open on our website www.grubercsafarm.com or feel free to call us for signup. You may also mail a check with your contact information to: Stanley Gruber, 265 Old Bell Road, St. George, SC 29477. Remember that we can work around any vacations, etc. during the delivery season. 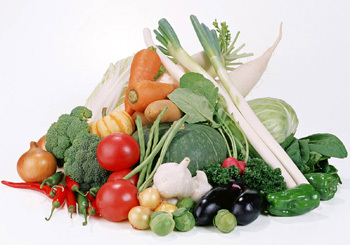 Don’t miss out on this healthy program because we promise you the best fresh produce possible. Looking forward to hearing from you soon. Check out our website for new drop locations. HAPPY AND HEALTHY EATING !!! Fall is coming and so is our fresh vegetable and fruit CSA delivery. Our Community Supported Agriculture program is gearing up for another fall session of the best local produce available. Delivery begins the week of September 5th and it is time to make your commitment so we can plan and plant according to our signup. To the many of you that have signed up already we thank you. Our schedule requires a lot of planning to see that enough is planted and our routes are coordinated to deliver everything on a timely basis. Be sure to check out our website for any new locations we have acquired for drop offs. Our family farm exists because of our regular customers so your business is greatly appreciated. We proudly stand behind our reputation of great quality and quantity for your money. The prices remain the same for another season, which makes our farm to family program a great value. Signup is open on our website www.grubercsafarm.com or feel free to call us for signup. You may also mail a check with your contact information to: Stanley Gruber, 265 Old Bell Road, St. George, SC 29477. Remember that this 12 week program makes a terrific gift to anyone for any reason. We are also happy to work around any vacations, etc. during the delivery season. Don’t miss out on this healthy program because our farm promises you the best produce possible for your family table. Please feel free to call us with any questions but don’t hesitate to get your name on our CSA list as soon as possible. Gruber Farm is proud to be your Farmer. HAPPY AND HEALTHY EATING !!!! another spring/summer session of the best local produce available. as possible. Gruber Farm is proud to be your Farmer. HAPPY AND HEALTHY EATING !!!!! There is no doubt that family-owned farms are struggling across the country, but innovative produce farms, like Gruber Farm in South Carolina, are taking matters into their own hands by reaching out to their local communities for direct support. This business model is not new, but lately it is becoming increasingly more popular with small, family-owned produce farms. It’s called Community Supported Argiculture or CSA, for short.